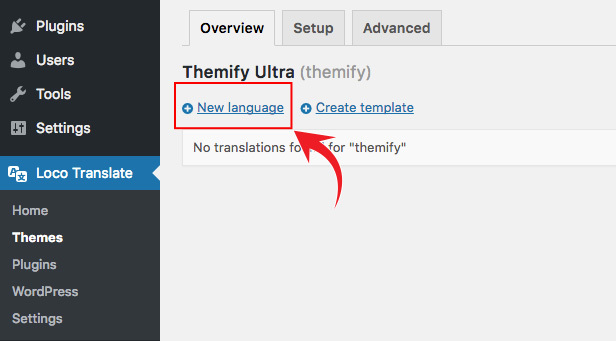 Themify allows you to translate each theme into different languages without having to edit the template files. It can be translated with the free Poedit software or translation plugins such as Loco Translate. You can also purchase the premium WPML plugin, if you need more advanced features such as translating custom types, taxonomy, and menus. If you don't have the Poedit software, download and install it first. Step 1: Create a new catalog: Start Poedit and go to File > New. 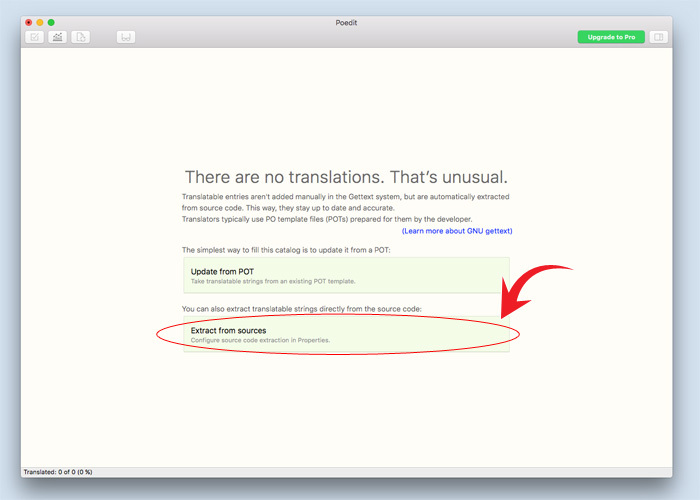 You'll then be prompted with the option "Language of the translation". Select the language from the dropdown option panel and select "Ok". The properties option panel will then open. Click on the "+" sign then "Add folder". Select the theme folder that you're looking to translate (i.e. Themify Ultra). 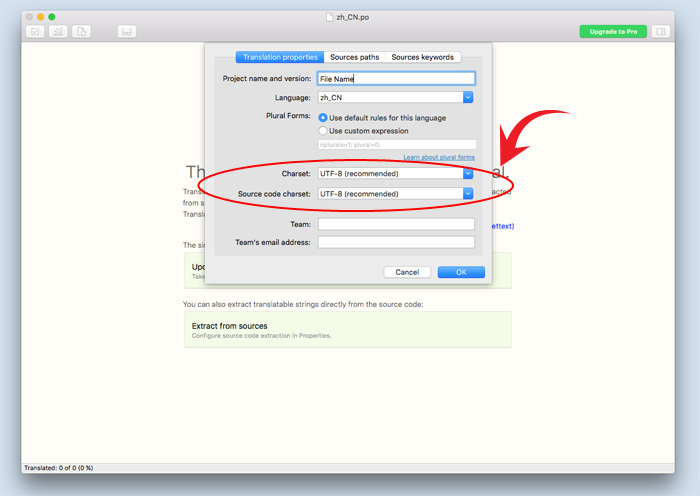 In the Translation properties tab, set the project name and version. 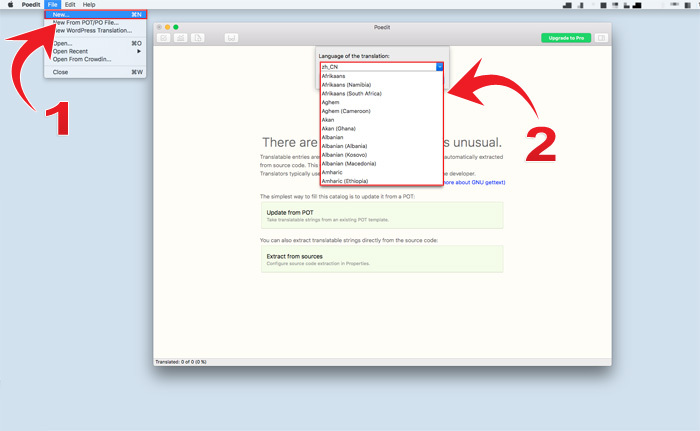 You can dismiss most options, but make sure you set the Charset and Source code charset to "UTF-8 (recommended)". Finally click OK and save it in the languages sub-folder in your theme folder. Name the file after your language locale. For example, name it fr_FR for French, es_ES for spanish, pt_BR for brazilian portuguese and so on (read this list for more codes). 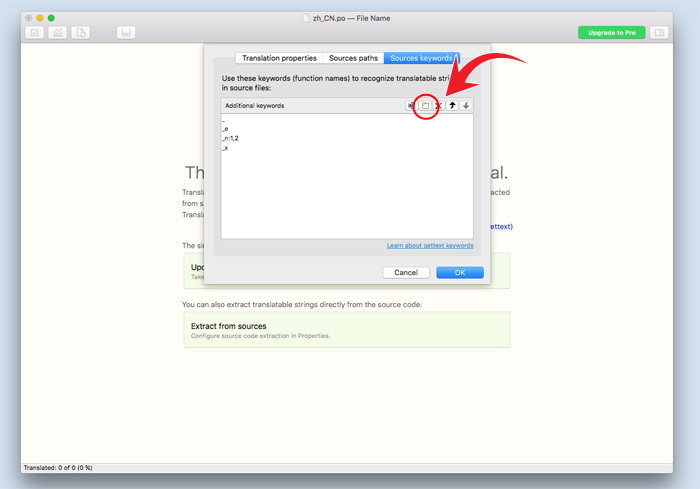 Step 2: Translating strings: After saving, Poedit will pickup all strings available for translation. When it's done, you should see a list of strings (in English) used in the theme. 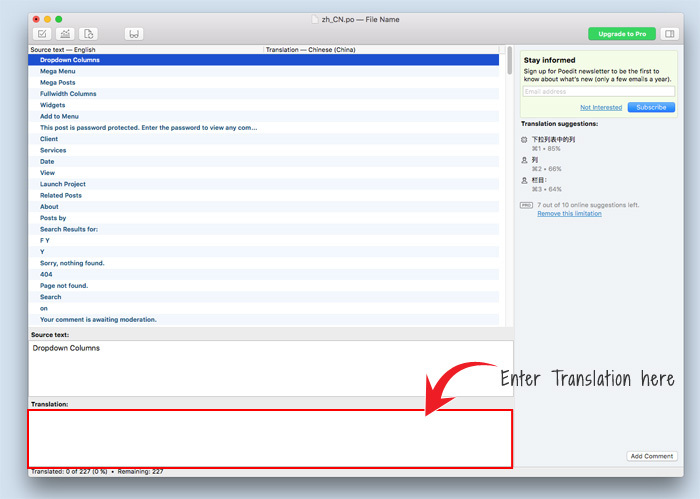 Go through the list and enter the translation text in the lower box. When you are done, click File > Save and Poedit will generate a .mo file (eg. fr_FR.mo) automatically on save. If you don't see the .mo file, go to Poedit > Preferences, under the "Editor" tab, check "Automatically compile .mo file on save". Step 3: Upload the PO and MO File (if you were working locally) If you were working on a local test server, you'll have to upload the .po and .mo file (generated from Poedit) to the "theme/languages" folder through FTP. Go to Loco Translate then in the list of themes find the desired theme name. And click on "+ New Language"
You'll then see an option where you can "Create a template", or "Skip a template". Both will allow you to translate the theme. We do, however, recommend creating a template this will allow faster translation when you're translating multiple strings. After creating a template, you can now select the language from the list or enter your own custom language if it's not on the list, and click "Start Translating". Now you will see a list of words. You can either scroll to find your word to translate or use the "Filter translation" search option and type in the word you are looking for. 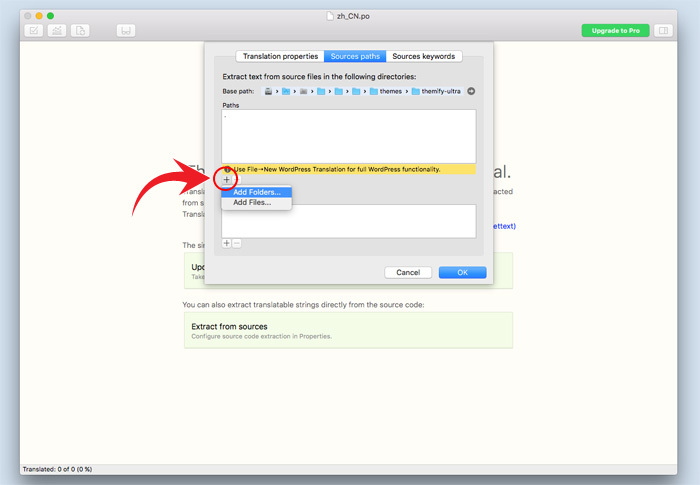 Once you select your word enter it's translation in the "Translation" field. Then go to Settings > General under "Site Language" option to select the language. The WMPL plugin is a popular WordPress translator that allows your site visitors to choose which language they would like to view on your site. Once enabled, go to the Multilingual Widget on your Admin Dashboard. This will give you access to different functions in WPML. Here's a detailed documentation if you would like to translate using String Translation. If you would like an in-depth tutorial on how to translate your site content using the WPML plugin, go to their getting started documentation. The documentation provides screenshots and demo video that'll help you use the plugin.